I was re-reading the Foldscope single lens scope paper (see Resources), in particular on its use for fluorescence as a prelude to my own studies. I noticed that they used Roscolux filters, a name I hadn't come across. 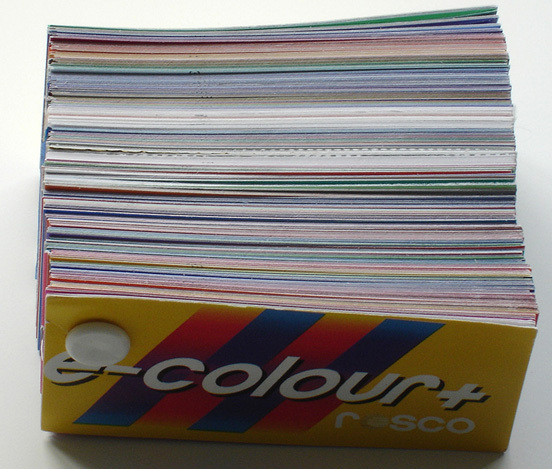 Lighting filter suppliers' websites may offer a large swatch of filters which for Roscolux include spectra so very useful (illustrated below). Some diffusers and fine gauzes are included as well. Swatches for other makers like Lee are also available. Each Roscolux filter is ca. 8 x 4 cm. For the typical condenser filter tray (or field lens on scope base) there's probably 2 - 3 discs of that size in each and oodles for the Foldscope which require tiny discs. Also lots of Rheinberg possibilities. You'd need to eat a lot of Quality Street toffees to get that amount of wrappers! I intentionally haven't added links so that any interested readers may split their requests over different sites in their own countries. If one supplier is inundated who is offering them free (plus postage) they may review the offer as they are aimed at the lighting technician, hopefully as a prelude to an order! Some sites offer at modest cost. Users may not need a wealth of so many types. 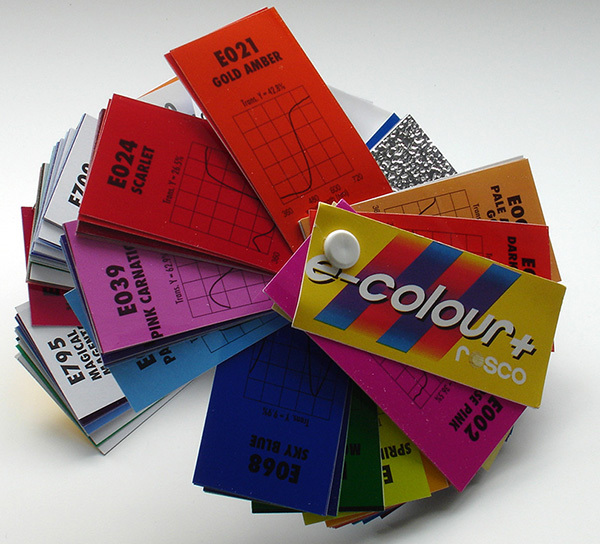 Some makers like Lee also offer small sets of large sheets including often used primary colours for a modest price with spectra; a set which my brother Ian and I have used extensively. See his Micscape article, Making microscope filters with the Lee colour MAGIC complementary filter set. Tip first shared on the Facebook Amateur Microscopy group December 2017, a thriving resource for enthusiasts to share their projects, images, videos and ask questions.